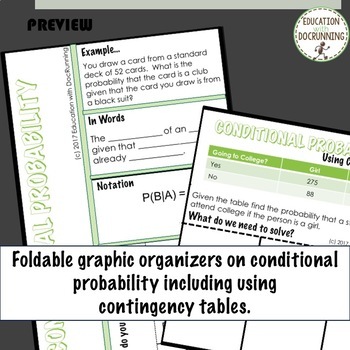 Engage students in their study of probability with this set of guided, color-coded notes and practice problems for Conditional Probability. 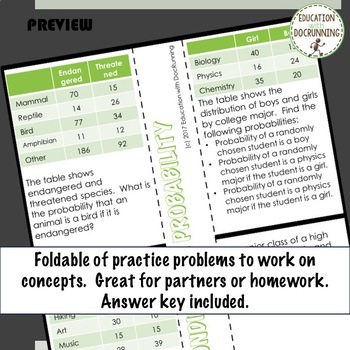 Students use guided notes for interactive notebooks and then practice with identifying types of problems and solving them. 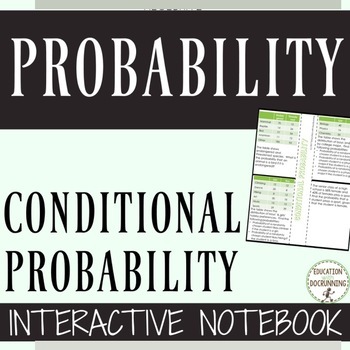 This is the fifth lesson in Algebra 2 Unit 10 Probability. 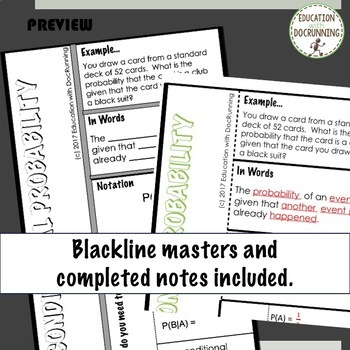 - Guided notes with examples. - Read musings, tips, resources and ideas about teaching, education and education policy on the blog. Don’t miss out on Math Mondays (all about teaching math).